Visiting the Wooden Boats Center in South Union Park motivated me to post a sketch from Seafair weekend. Amongst all the boats at Pier 66 during Fleet Week, my favorite was the Golden Rule Peace Boat with its eye-catching vermillion sail. The original Golden Rule sailboat was recovered and restored by the Veterans for Peace group to inspire peacemaking. 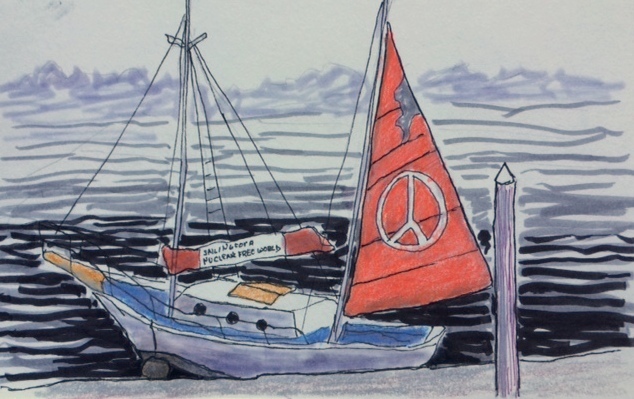 The sign on the boat reads: Sailing for a Nuclear Free World.